We’re just over a month away from Brand Licensing Europe and we’re really excited about the content at this year’s show from a toy industry perspective. Traditionally, toys and licensing have crossed over for many, many years: we are led to believe that the first ever licensed product was a plush Peter Rabbit from Beatrix Potter’s children’s book in 1934. In the decades that have passed since, there have been thousands – perhaps millions – of licensing and toy collabs. We have seen toy brands as licensors and licensees with, for example, Lego on pencil cases and Star Wars on Lego. The relationship has proved to be mutually beneficial to both sectors creatively and economically. This year’s LIMA report showed that toys is the second biggest licensing product category behind apparel, accounting for 13% of all global retail sales and with a value of £36.1 billion. Considering the UK toy industry is worth just over £3 billion in total, that’s a lot of product. 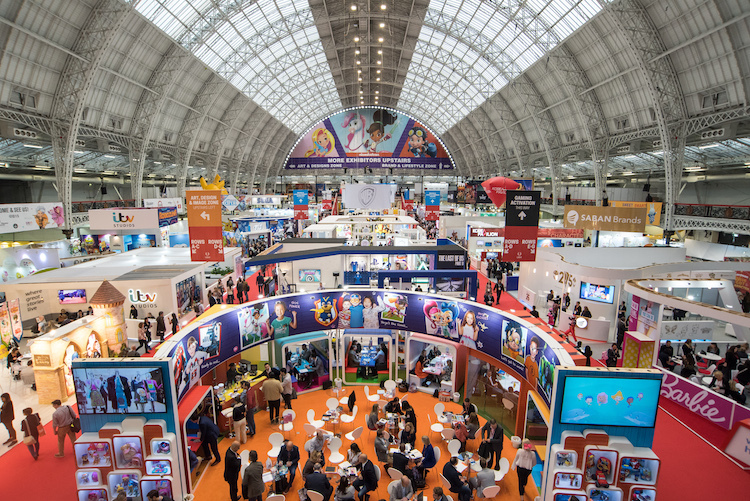 At BLE, you can see many brands on our exhibitors’ stands that have toy category potential, particularly in the Character & Entertainment Zone, which is home to TV and movie studios like Viacom Nickelodeon, Warner Bros, Turner Cartoon Network and Universal and their incredible roster of children’s brands. We also have the world’s two biggest toy companies at the show – Mattel and Hasbro – which is testament to the strong relationship between the two sectors. Of course, the toy industry has evolved significantly since Beatrix Potters’ days, as has the way kids discover toys. Like fashion, beauty and video gaming before it, the toy industry has also been adopted by influencers, the most successful of whom is Tiana, whose Toys AndMe YouTube channel has more than nine million subscribers. Tiana launched her own toy line last month with Vivid – Toys AndMe – and has also followed in the footsteps of YouTubers like Zoella to launch her own range of branded licensed products – Hearts by Tiana. At Brand Licensing Europe, Hearts by Tiana will have its own dedicated stand, the first time an influencer brand has appeared as a standalone exhibitor, which really does speak volumes on the power of influencers in the toy sphere and the licensing potential that’s now open to them and their licensees. So, please drop by and check it out – it’s on stand C118 diagonally opposite the WIT stand on C120. WIT will also be hosting drinks in the Brands & Lifestyle Bar at 4pm on Wednesday 10 October. Click here to RSVP. And don’t miss out on the toy content in our seminar programme: Mojo Nation’s Billy Langsworthy is back with a Playing with Brands panel and a fireside chat with Tech Will Save Us. Check out the agenda at https://www.brandlicensing.eu/agenda and, if you haven’t yet registered, you can get your free ticket here https://www.ubmregister.com/ble?tag=BLE863.